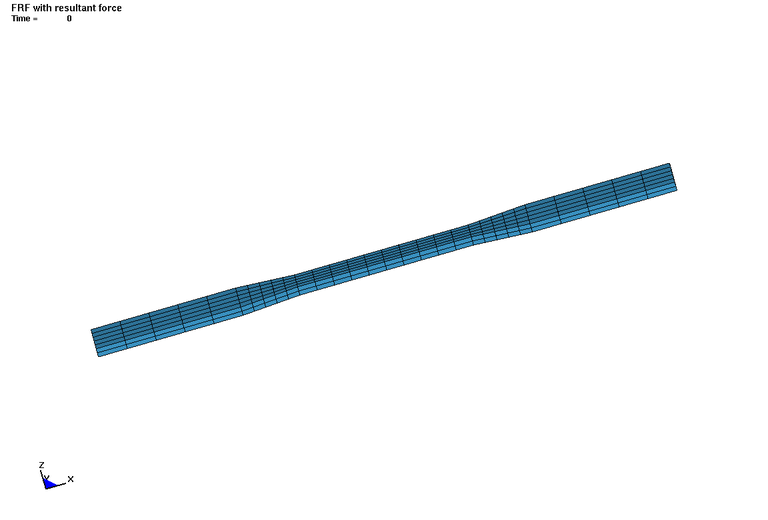 This example shows a beam model with two layers of solids. 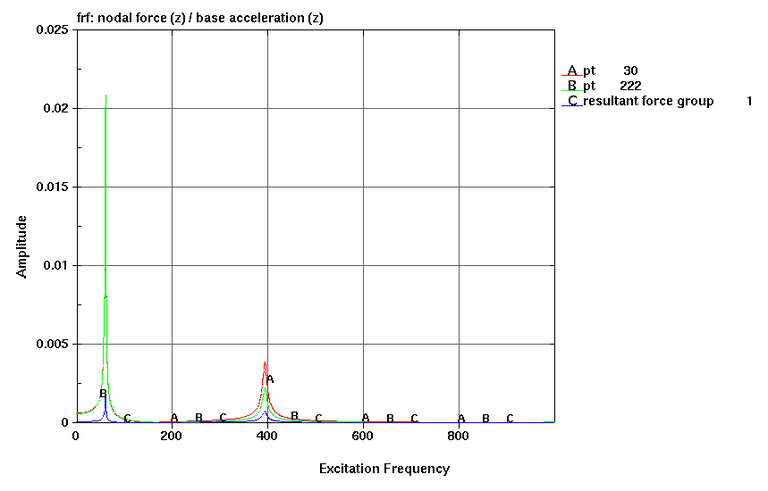 *FREQUENCY_DOMAIN_FRF is used to define z-acceleration to the left end and z-direction nodal force output. With *DATABASE_NODAL_FORCE_GROUP resultant force output is defined. Example 4.4 from LS-Dyna training class NVH, Fatigue and Frequency Domain Analysis with LS-DYNA by Yun Huang.